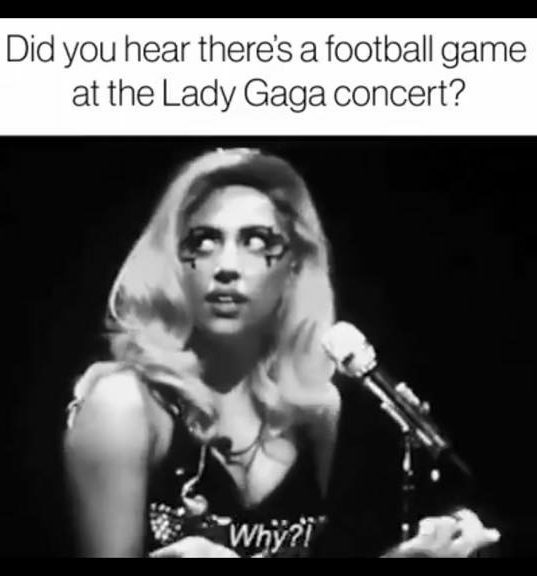 Mom made us watch the Stupid Super Bowl last week. 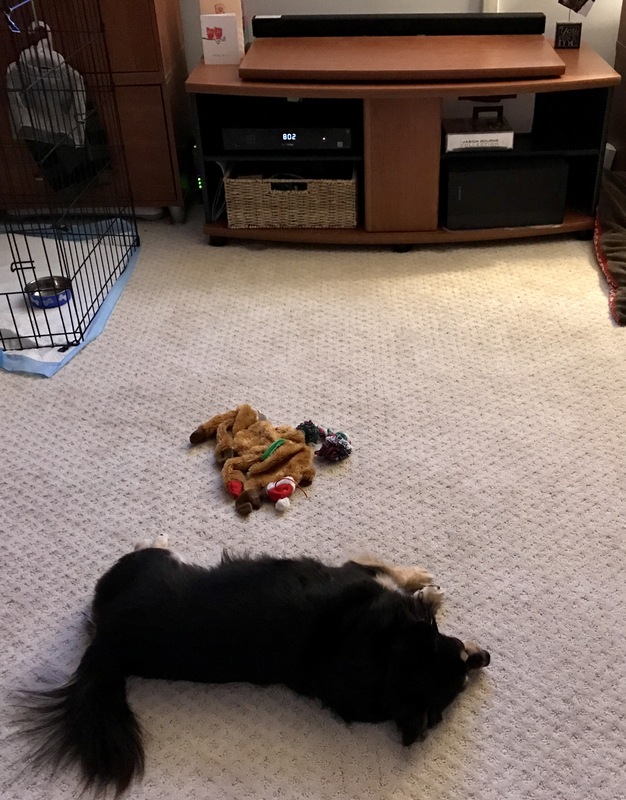 Well, first we watched the Kitty Bowl and then the Puppy Bowl. Noel thought that the half time show was the best ever, She was totally into Lady Gaga flying down from the roof and swinging around on ropes. 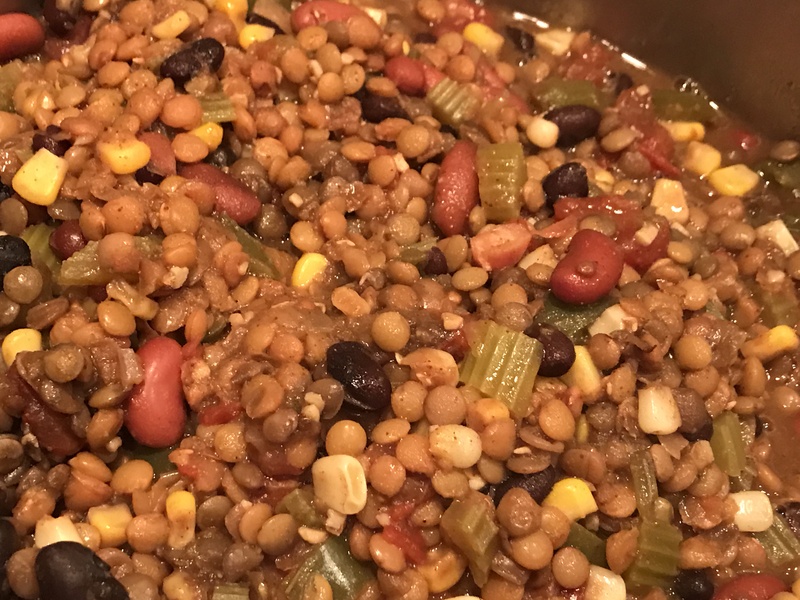 Mom made her ‘soon to be’ famous, red lentil vegan chili. 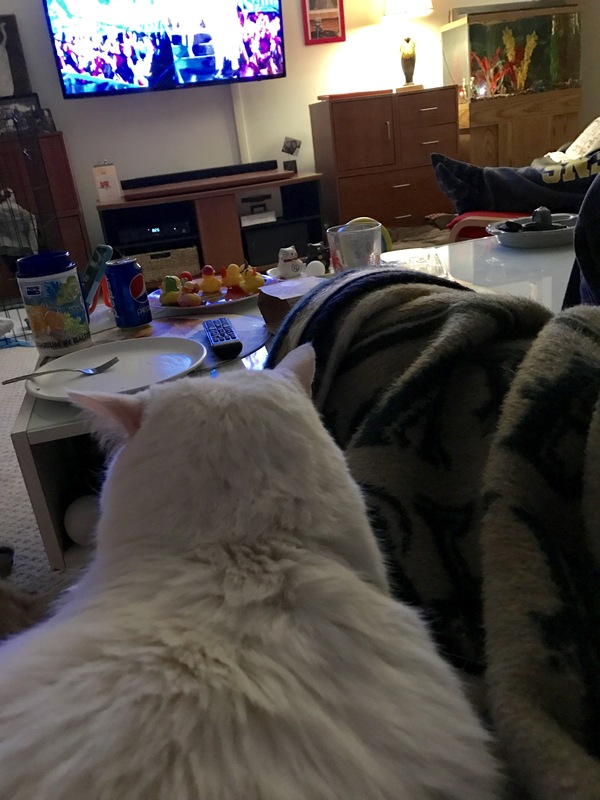 It seemed like the purrfect food for football. 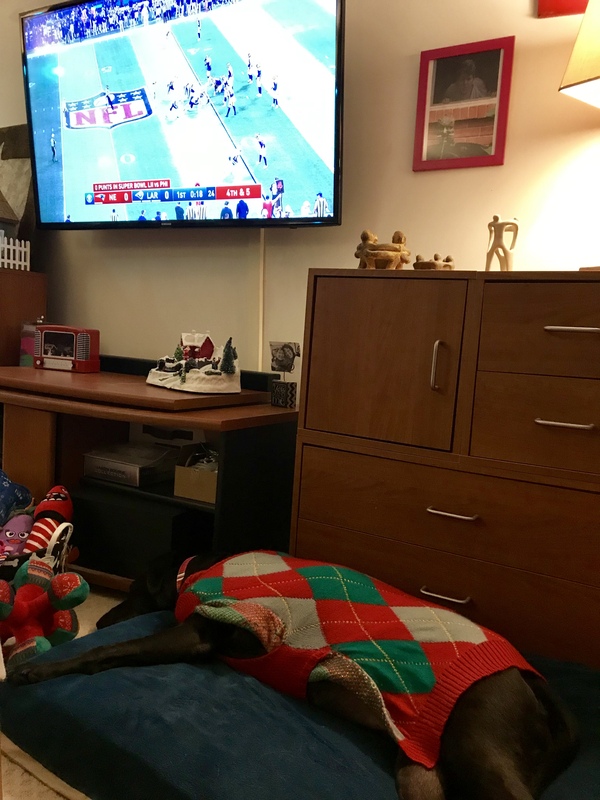 Charles (and flat Rudolph) slept through most of the second half. 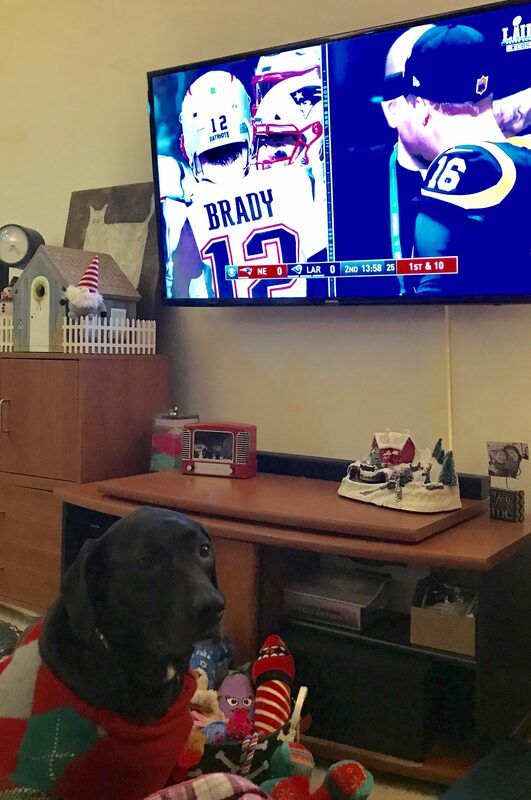 He figured the game was over after seeing the score at half time and decided there was nothing more to watch. Sorry, Charlie, you missed all the excitement. Maybe he is more a basketball kind of guy?